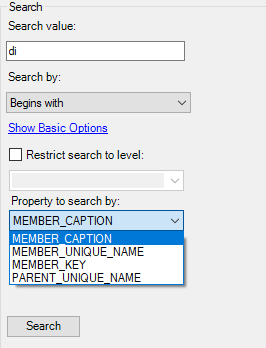 Did you know how easy it is to search for members within XLCubed? 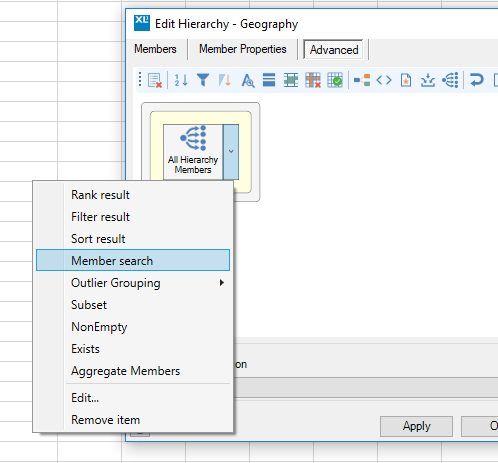 Here’s a simple grid – let’s search for members within the Geography hierarchy. 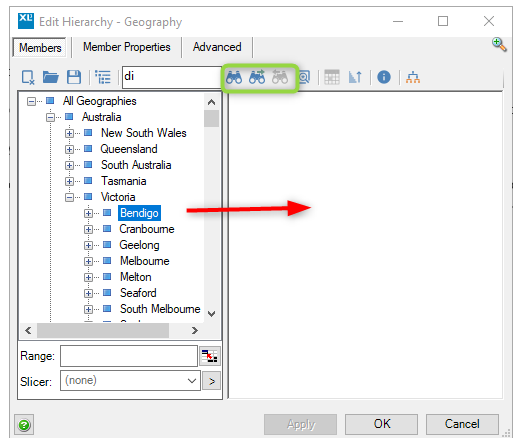 First of all, let’s open the Geography member selector by just double-clicking the Geography header. XLCubed offers a number of options when searching. Firstly, you can simply enter a search term in the box before clicking the first of the icons within the green border. That will find the first entry in the hierarchy – drag across to include in your grid report. Click the second icon to find the next member that fits the search criteria – you can also cycle back to find the previous member(s) if needed by clicking the third icon in this group. 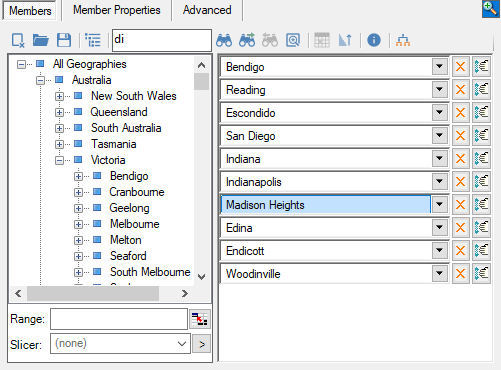 You can determine which Property to search by as well as setting options for case sensitivity. You can also set restrictions on the levels that will be searched. 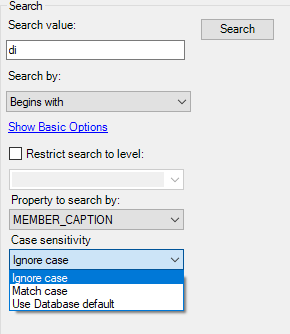 Let’s search for all hierarchy members that contain the string ‘di’. As you can see all hierarchy members containing the string ‘di’ have been returned. Click the button to the left of Member to select all members or pick individual members and then click Pick. 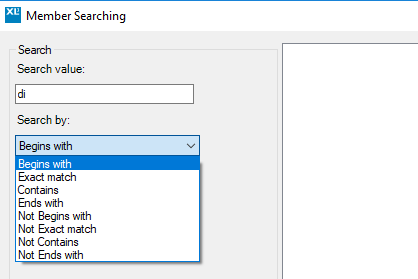 The search value can also be in an Excel range so that dynamic searching is possible. 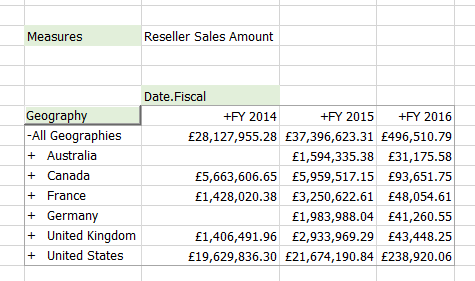 If this value changes then the grid updates accordingly. If you want to use this functionality in a published report, remember to unlock the Excel cell so that new values can be entered in the web report. We hope you’ve found this blog useful and as always, we value your feedback.